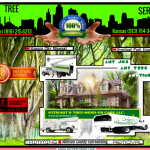 Because of the seasonal weather we have in Kansas City knowing when to trim trees can be tricky. If you trim at certain times of the year in the Midwest is any time better then another? Trim during dormancy is the most common practice. It results in a vigorous burst of new growth in the spring and should be used if that is the desired effect. It is usually best to wait until the coldest part of winter has passed. Some species, such as maple, walnuts and birches, may “bleed”—when the sap begins to flow. This is not harmful and will cease when the tree leafs out. To direct the growth by slowing the branches you don’t want; or to slow “dwarf” the development of a tree or branch, pruning should be done soon after seasonal growth is complete. The reason for the slowing effect is that you reduce the total leaf surface, thereby reducing the amount of food manufactured and sent to the roots. Another reason to prune in the summer is for corrective purposes. Defective limbs can be seen more easily, or limbs that hang down too far under the weight. 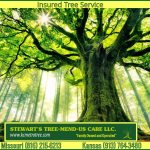 Health to your trees in the spring!